Yeah, me and Ron Burgandy...we're joggers. And we like it! OK, maybe I'm just assuming that Ron, er, Will Ferrell likes jogging. I'm sure he does - after all, he's my future second husband, so he's perfect like that. And yes, my current husband is well aware of my plans for Will. He's ok with it, because as soon as Holly Hunter is available, he's all hers. It's crazy talk like this that has kept us going for nearly 25 years! But I digress...it's just that I can't think about jogging without remembering that quote from Anchorman...and if you haven't seen it, what are you waiting for? Go rent it now!!! Oh yeah, jogging. Yep, I've been doing it - on the treadmill during my workouts. And I am surprised to say that I enjoy it. I actually look forward to it. And on a day like today, when Brad had other plans for us (a wicked full hour of strength training with a bit of cardio thrown in for "breaks"), I am disappointed to not get to jog. So I know I'm going to sound like a stupidhead, but if I were to, say, jog outside (I know, what a concept) - would I just go? Is this the "Just Do It" of which Nike preaches? Should I time myself like I do at the gym? What about water - do I drink say, 8 oz. before I start and then just replenish when I'm done? This is so weird for me to actually consider it, and yet I am! I realize that I might be overthinking this just a tad (really?!? ), but obviously I'm not an impulsive person when it comes to exercise. Congrats on jogging. You may want to check out a running schedule for beginners like Couch To 5k to help get you started. For me, jogging on the pavement is totally different than jogging on the treadmill. Just a heads up. And yes, Will is the funniest man ever placed on this earth!!! My niece might fight you for Will. :) Hmm...I feel like I'm still too fat to try jogging on the treadmill - the fear of falling off or tripping. I keep reading on blogs about strength training. I must do it this week! One hour of it must have been brutal! I love Will Ferrell. I've been watching the Lawrence Welk skit from the season finale over and over. Kristen Wiig with the baby hands makes me giggle deliriously. I've always wanted to be a jogger. I've even tried training. But I find it too boring. You crack me up. 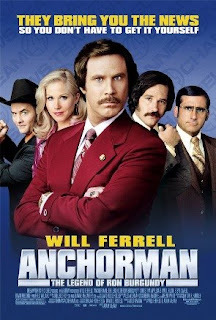 And you know I love Will Ferrell but I have NEVER SEEN "Anchorman." It's going on my Netflix today!! Re running, come on outside, it's beautiful!!!! I'd recommend doing a program like couch-to-5k (WHICH I LOVE) or at least using a pedometer, which will tell you your distance, calories, pace, etc. Will Ferrell cracks me up too. I liked Anchorman, but I LOVED ELF. "Buddy the elf, what's your favorite color". I still say Francisco...it is fun to say! Great job at the gym. Your a badass! Keep it up. "I have a fever and the prescription is more cowbell!" (Will Ferrell, Christopher Walken, SNL.) One of the funniest things I have ever seen. Wow, you go Shelley!! I've got nothing for you with the running, but I'll be your cheerleader!! Will Ferrell and Christopher Walken - "I need more cowbell". I'm falling off my chair laughing now. When it comes to your amping up your workouts, it bears repeating: I am in awe! And now I am laughing at you laughing Gigi!!! great GOOOGLY MOOOOGLY I loved that movie. and thought about that quote tuesday when I ranjogged. Great job with the jogging. I haven't jogged in years. Anyway, heck yeah, just drink a little water and go jog! See what happens, test the waters. 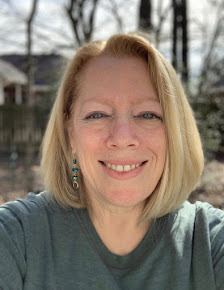 I don't know if you read Refuse to Regain, but Barbara is doing the Couch to 5K thing and is loving it. She's posted a few updates about it. God love you joggers. I'd love to, I even dream about it, but I can't because of ye olde knees. So I run vicariously through people like you :) Can't wait to hear how it goes! I haven't seen Anchorman in forever! I think we even have it on dvd! On the jogging part - make sure you stretch really well before you go. Before I could run any length of time, I did a walk/job - i.e. job for 1 minute, walk for 2, job for 2 etc., until I could run without stopping. I will never be a distance runner - 5Ks are my limit, however if I lost these damn 40 pounds maybe I COULD run farther!